I have seldom attended a film festival so well organized and in brilliant spirits as the9th Lunafest, a traveling program of short films by women that were screened at the Herbst Theater in San Francisco last month. 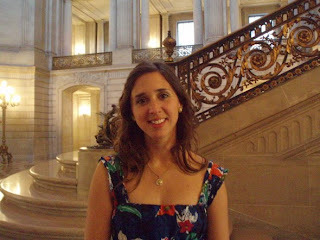 A VIP reception preceded the program and Lunabar, a sustainable health nutrition bar business, hosted the entire event. The networking and outreach that produced an amazing turnout allowed community leaders, activist and citizens alike the opportunity to gather for a good cause and see films which empower women and take up women’s issues such as learning to overcome cultural differences and living within your limitations at any age. "Daddy, why don't I have good hair?" So queries Chris Rock's daughter's after school one day, sending Chris upon a quest. 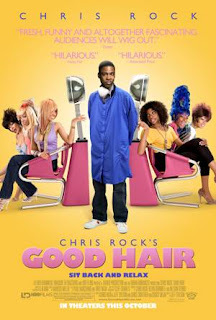 "Good Hair" is directed by established Hollywood comedy writer Jeff Stilson, and produced by Chris Rock for HBO Films. Now, Chris Rock is someone I watch with the remote in one hand, just in case I have to mute it right away or switch channels. He's funny in a mealy sort of way. But this time Chris Rock is a gentleman, a court jester with a research degree and an agenda, letting his subjects laugh at themselves and each other without rancor. "The Last Man On Earth" is among Vincent Price's saddest, scariest films. It is NOT a pretty film to watch. Photographed in stark black and white by 35 year old Italian cinematographer Franco Delli Colli, the film looks like a shoestring effort to document the end of the world as we know it. We know it isn't, because who would make such a movie? The only recognizable human is Vincent Price's Robert Morgan. Everyone else is a vampire or a corpse. Robert's looking for a cure, but his heart isn't really in it. Everyone he knew and loved is gone. Still he forges on, in a despondent state of shock. Ubaldo Ragona directed in Italy and Sidney Salkow (who'd made "Twice Told Tales" with Price two years earlier), was responsible for dubbing the Italian dialog into English. I know, Michael Moore is cheesy. He too often milks crying victims to make his points and his theatricality is often embarrassing. But his documentaries are commanding, and Capitalism: A Love Story has to be his best work to date. He still manipulates images and sound to drive home his points, and for that reason his documentaries are considered unscientific, but let's face it - everyone manipulates imagery and sound in the documentary medium, so this can hardly be a criticism. 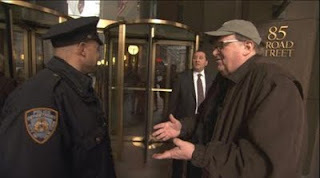 There are Michael Moore enthusiasts that love everything he does, and there are enemies, the people that he goes after or the people who don't believe that what he says is true, at all. Birdwatchers chronicles the land battles of indigenous Brazilians forced to find work on their own lands as seasonal laborers. In the southern Brazilian state of Mato Grosso do Sol, a small band of Guarani Indians, unable and unwilling to subsist on the reserve mapped out for them by wealthy white settlers, camp out in shaky trash bag tents on the roadside fringe of a plantation intent on reclaiming what was once their holy ground. 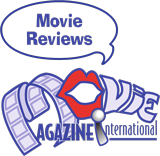 Five Minutes of Heaven is a movie about revenge and redemption, bravely tackling these subjects with only mixed results, asking if the pull towards retaliation is greater than the pull towards forgiveness. "I'll have my Five Minutes of Heaven" shouts Joe Griffin, a Catholic, as the possible sweet revenge he has waited so long for becomes ever more imminent. Based on a true story, in Belfast in 1975, 11 year old Joe witnesses his older brother's murder and is blamed by his own mother and family for not stopping it somehow. His family is broken and his young life becomes a darkness of incrimination and remorse. The killer, 16 year old Alistair Little is caught and serves 12 years in prison for the murder.